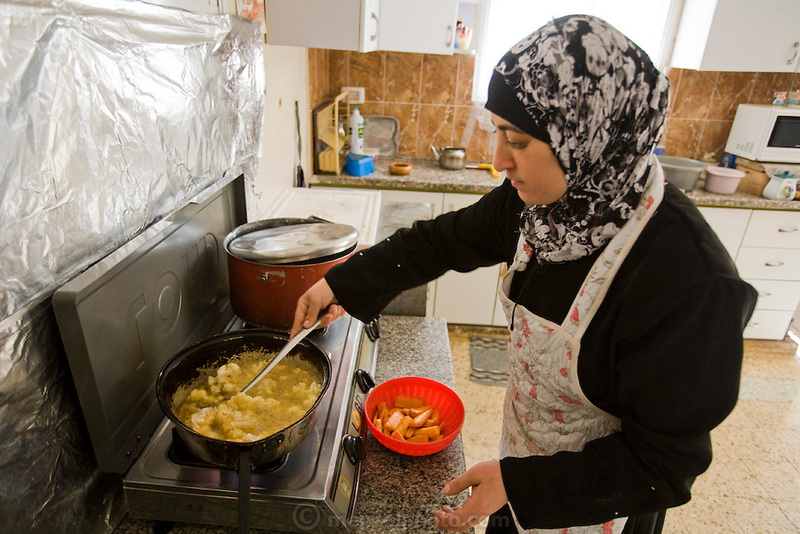 Abdul-Baset Razem's wife, Munira, tends to the makloubeh at the stove at their extended family home in the village of Abu Dis, East Jerusalem. (Abdul-Baset Razem is featured in the book What I Eat: Around the World in 80 Diets.) MODEL RELEASED.